Yoav Galant, who has been chosen as the IDF's 20th chief of staff, has been in uniform for 33 years. He was born in Jaffa in 1958, and completed his degree in economics and business management with distinction at Haifa University. He built in home in Amikam, near Zichron Yaacov, where he lives with his wife Claudine whom he met during his military service with the Navy. Claudine finished her military service with the rank of lieutenant-colonel. The couple has two daughters, one of whom has recently begun her military service, and a son, who is also serving in the navy. Galant joined the Israel Defense Forces in 1977, when he signed up for the marine commandos in the elite Shayetet 13 unit. After six years, he took off his uniform and went to Alaska to work as a lumberjack. Upon his return, he joined a course for seamen, and over the years climbed the navy hierarchy, taking part in many operations. In 1986, he was appointed company commander and was promoted to the rank of lieutenant-colonel. 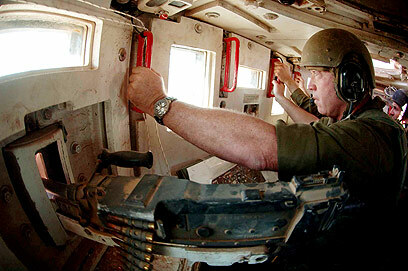 In 1993, Galant commanded the Jenin Brigade in the Judea and Samaria Division, and in 1994 and 1997 he led the Shayetet 13. In the same year he was appointed head of the Gaza Division, a position he held until 1999 when he took over as head of Central Command's Armored Corps Division. In 2001 Galant was appointed head of the Ground Forces Staff, and then joined the General Staff when in 2002 he was chosen as military secretary to then Prime Minister Ariel Sharon and promoted to Major-General. At the end of 2005, following the disengagement from Gaza, he was appointed to his current position as head of GOC Southern Command. He was also involved in Operation Cast Lead. During the early days as candidate for chief of staff, Galant was considered a serious contender along with Major-General Benny Gantz. 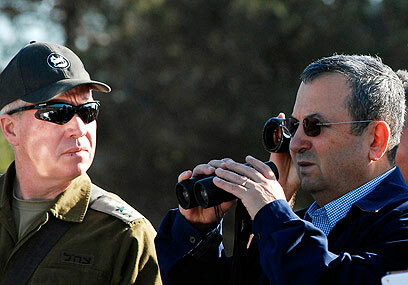 Tension between Galant and the current chief of staff, Gabi Ashkenazi, recently reached new heights after a long period of uneasy relations when Defense Minister Ehud Barak supported Galant as deputy chief of staff, against Ashkenazi's wishes. When he was not chosen for this post, Galant decided to remain as head of Southern Command instead of taking the position offered to him as head of the ground forces. This decision, it seems, was taken because he considered his chances of entering the General Staff were good, despite his failing to be appointed as the chief of staff's deputy. Galant, who was given credit for the success of Operation Cast Lead, enjoys the support of officers on the ground and is considered capable and professional. In the past, he faced a court case when his neighbor claimed he had overstepped onto land belonging to the Israel Land Administration. Galant won the case, and the court ruled the suit was not merited, and even reprimanded the neighbor for waging a battle against him in the press. When the "Galant document" affair broke out, Galant immediately claimed he had nothing to do with it and knew nothing about it. The police later cleared him of any wrongdoing, which – many claim – made him the main beneficiary of the storm at General Staff. After the police announcement, Galant said to his friends that this was the end of the matter and that he had no intention of going into it again. "He is very authoritative and persuasive," a source close to Galant said. "When he says something, you have no choice but to believe him." Close friends testify that during the last two weeks, despite the tension over the chief of staff appointment and the "Galant document" investigation, Galant remained calm, giving an air of "business as usual," confident that the truth would eventually emerge and that the affair would not harm his candidacy. Thus he hardly adjusted his daily schedule and made sure to participate in all training and debates as planned. 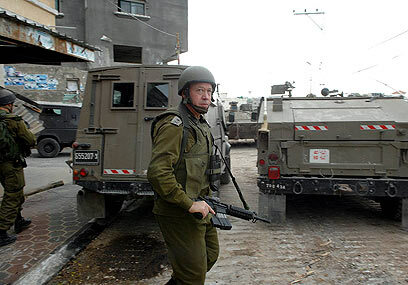 During the Gaza operation Galant made an effort to be with soldiers on the ground instead of commanding from afar. This fact is considered significant in paving his way to the General Staff. Company commanders who had not known him previously said Galant would visit them and was a full partner in all missions. "I met a general who knows what it's like on the ground and likes it," said a paratrooper commander. "This can't be taken for granted." Within the IDF, Galant is considered to know the General Staff very well and the security establishment in general, partly due to his role as military secretary for the prime minister. In recent months, he has undertaken a series of visits to the various IDF units to learn about and update himself on all their operations. "It's not that he doesn't know the units, but it was important to him to be there, to hear the commanders and learn the situation," a source close to Galant said. "This has been one of his prominent characteristics recently. He makes sure he is at the heart of events and hears about everything first hand." Among his friends from his long service, from the navy to the Southern Command, Galant is known as an admired commander who knows how to read the battlefield and the map of threats and dangers – but also as someone who can come up with creative solutions. 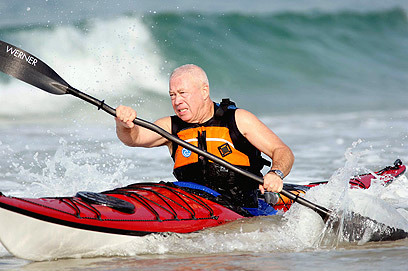 Despite his land-based position, he has not lost his love of the sea – from time to time he paddles with his friends to keep fit. See all talkbacks "1st chief of staff from Naval Commando "